Be the first to share your favorite memory, photo or story of Sharlett. This memorial page is dedicated for family, friends and future generations to celebrate the life of their loved one. Sharlett Finch was born on August 18th, 1942 to parents Edna and Bud Finch in Tuttle Oklahoma. She married the love of her life, Jack Drake, in the early 80’s. She left this world on October 7th, 2018. Sharlett enjoyed baking and cooking for her family on the holidays. She worked as a cafeteria lunch lady where she loved cooking for others. She also worked as a security guard where she personally guarded stars such as Tina Turner and Lionel Richie, from whom she even received a kiss on the cheek. Some of the families’ fondest memories of her were going to her house for Thanksgiving and Christmas. She baked the World’s best pecan pie and she always had the best decorated Christmas tree. She had a love for grooving and dancing to Motown and Blues music. She loved animals of all kinds. She would even throw them birthday parties. She would take in any stray that needed a home whether it be donkeys, cows, goats, dogs or cats. She cooked chicken for them daily. She loved playing her Nintendo, specifically Super Mario Brothers; she would sometimes have her grandchildren help her get past levels when they would come over. She had a very sassy spirit, even into her last days, that her family and friends will always remember her by. She was preceded in death by parents, Edna and Bud Finch; husband, Jack Drake; and grandson, Eric Cook. 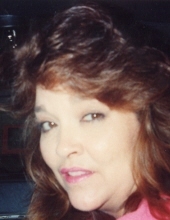 She is survived by daughter, Sharlene Tull and husband John; daughter, Darlene Minor and husband Kenny; grandchildren, Shannon Prince and husband Johnathan; Chris Keneda and wife Jennifer; Shalatha VanRaamsdonk and husband Paul; Ryan Tull and wife Britni; and great grandchildren, Kerston Tucker; Kimora Sengkhamvilay; Braydon Keneda; James Gootee; Kayla Gootee; Keegan VanRaamsdonk; Ashton Keneda; Riley Tull; and Maya Tull; sister, Mary Tarver; brother, Jerry Finch and wife Susan; brother, Danny Finch and wife Loretta; and countless nieces and nephews. Funeral Services will be 10:00am, Thursday, October 11, 2018 at McNeil’s Funeral Service, Mustang, Oklahoma with burial to follow at Fairview Cemetery, Tuttle, Oklahoma. To send flowers or a remembrance gift to the family of Sharlett Ann Drake, please visit our Tribute Store. "Email Address" would like to share the life celebration of Sharlett Ann Drake. Click on the "link" to go to share a favorite memory or leave a condolence message for the family.